✅ Verified Review | Bremen is a small and convenient airport, and my experience proved enjoyable. Arriving with Air France I disembarked in the main terminal. Very short walk to the baggage claim, I picked my suitcase within ten minutes. Tram line 6 frequently connects the airport with the city centre (every 6min during peak hours, 20min otherwise), travel time 10min. A one-way ticket costs €2.75, however beware that the machines accept neither credit cards nor bank notes greater than €10. Easy departure with no queue at baggage drop-in. I breezed through security, Bremen uses the full-body scanner which makes the screening process much faster. Security staff efficient and friendly. 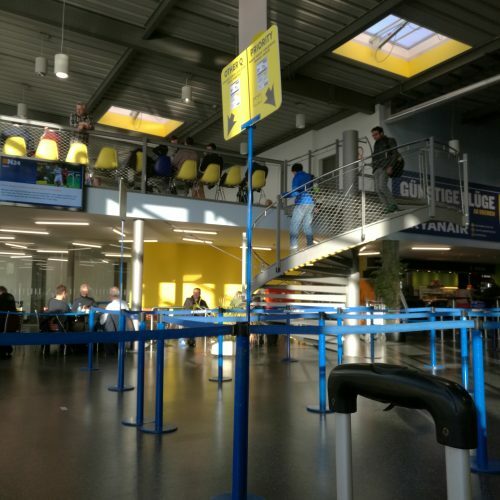 Bright departure lounge but there might not be enough seating facilities if all gates are used at the same time. Only issue: Not enough toilets facilities either landside (well hidden at the very end of the building!) or airside (one toilet block only). ❎ Unverified | This Airport is very small and convenient, however when the weather gets bad you can expect a delay of up to 15 hours. Inside a small waiting room with no facilities including toilets! 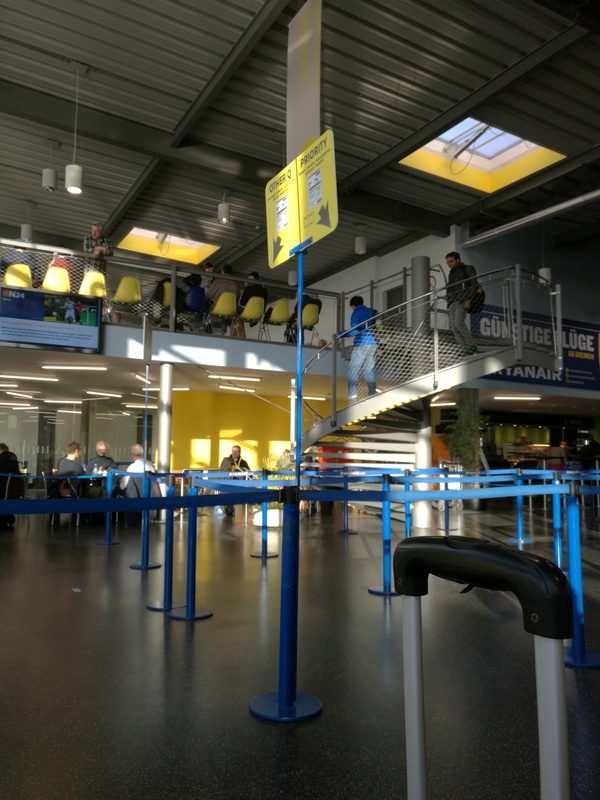 Ryanair terminal has limited seating so you could end up standing or sitting on the floor! 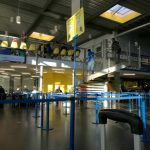 "a big shed with Ryanair"
✅ Verified Review | Bremen Airport Terminal E is a big shed with Ryanair inside. No doubt noisy in a hail storm it's open and breezy. Staff efficient. Plenty of natural light (skylights in the roof). The light rail service line 6 service from the station is great too. Beware it does not take credit cards or bank notes over 10 Euros - functional. Nothing special to write, it looks more like a train station than an airport but it's a small city anyway so that's fair. Access from the city center by tram makes it the easiest, cheapest and fastest airport to reach I've seen in my life. Fans of space will love the huge International Space Station model in the main hall and aviation fans will love the souvenir shop where you can buy many Airbus collector's items. One thing: they should put more power sockets. 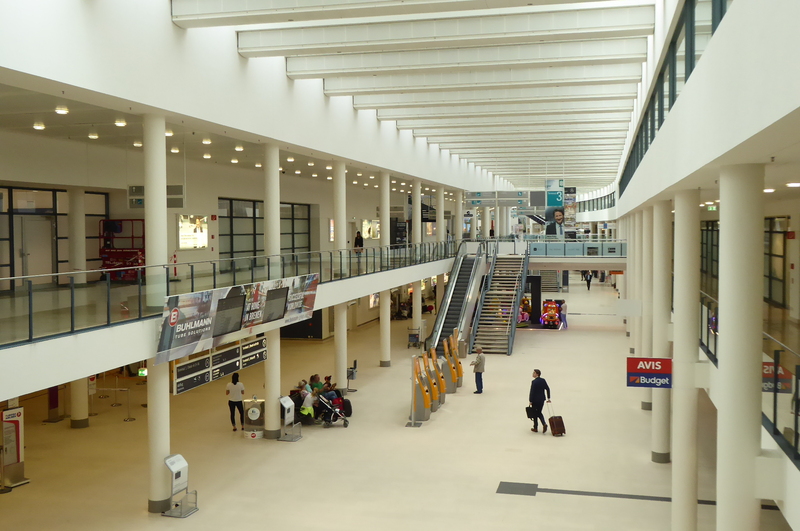 Flew in and out of the dedicated Ryanair terminal (Terminal E) at Bremen Airport, but also spent some time in the other main terminal complex. Upon arrival, the Immigration desks were efficient, but the queuing area seemed to be slightly small for a full Boeing 737-800, and indeed there was a small area outside to accommodate a queue. The terminal seems to be a converted hangar, and serves its purpose well. Baggage collection time was fine. Amazingly close tram stop outside, along with office blocks and hotels. It feels like the airport is simply another building in the middle of the city. The tram is a very convenient and cheap way into the city centre. On departure, we walked through the main terminal to get to Terminal E. It appeared very spacious and quiet. There appeared to be adequate check in desks for the flights that were operating and the whole place seemed very tranquil. Terminal E itself was busy. About a 10 minute wait at Security and then the gate area seemed very crowded, particularly for the non-Schengen area flights, of which there were 2 departing within 5 minutes of each other. 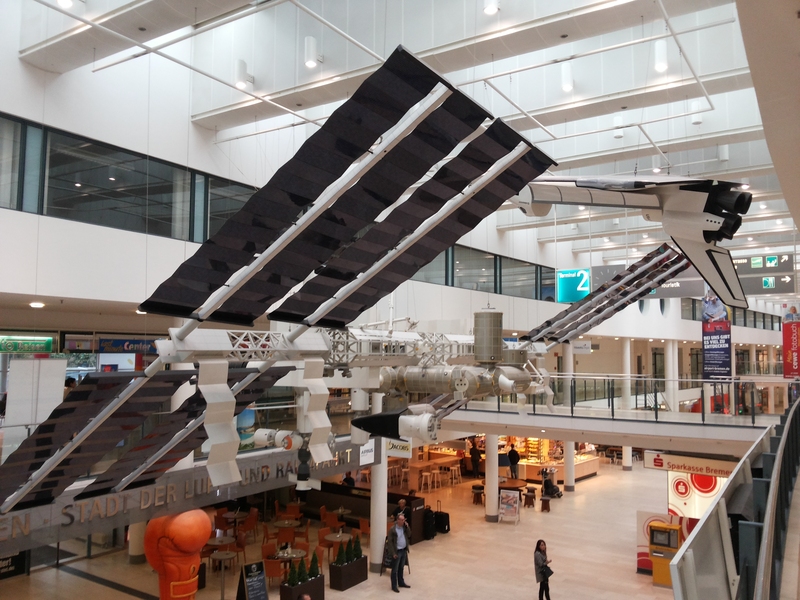 Still, I was impressed with this airport and would have no issues about using it again. I agree that it is a small tidy airport with close proximity to the city. It is great that the tram is literally as you walk out the front doors with a frequent service to the city. Bremen is such a great little city. I thought this airport was lovely. Outside are the cobbled roads and tram link into center. In the main airport terminal the facilities are excellent. They have a truly amazing viewing deck with information about the space programme and aircraft using the airport. Security was quick efficient and friendly and boarding immediate to the aircraft. I feel Bremen airport gives passengers the proper respect they deserve even when travelling a budget airline. 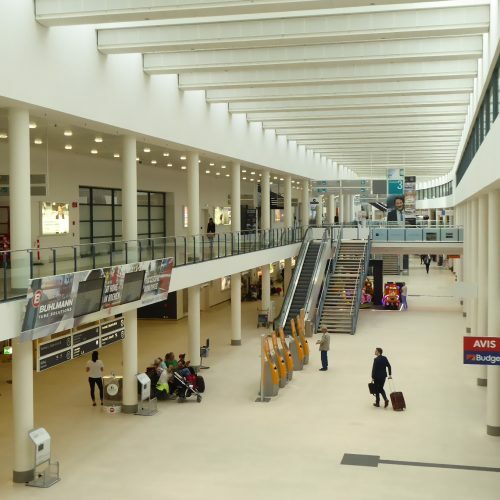 I agree with Jurgen Arnold regarding this airport and its proximity to the lovely city of Bremen. I flew there last year on Easyjet to and from London Luton but they don't do the route anymore it seems. Squeezed out by the inferior product from Ireland I guess so the comment about other low- cost competition may be a pipe dream. Now if Easyjet were to try again from Gatwick they may give Ryanair a fright. 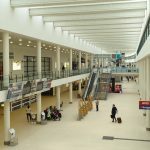 My advice to Jurgen when next departing this lovely airport is to use the facilities in the main terminal first (much nicer and not much blue!) before travelling to Ryanair's plastic chairs at the last possible minute. 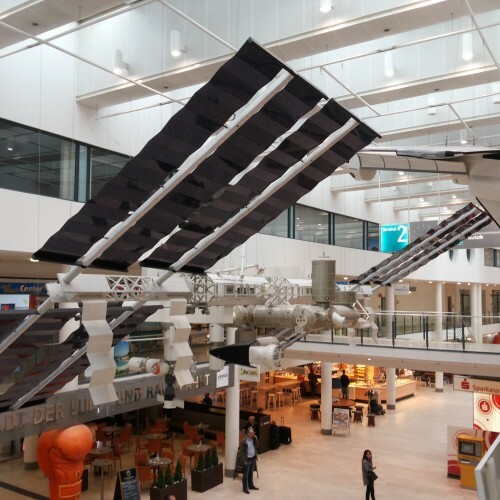 As living in the north of The Netherlands Bremen airport is a good alternative for Amsterdam. Recently flown from the new low cost Ryanair terminal. Its basic clean and blue! There is a multipurpose shop which sells everything from a to z at somewhat inflated prices and small coffee shop. Seating is mostly in plastic chairs which you could find at your local dentist. Reasonable but we had an early flight so it was not so crowded. Would not like to be there when its get full. There are also some paid internet terminals. The airport is well situated from the city center and freeway from the parking garage you are within 3 minutes in the main terminal building. Bremen is still a great small airport but they need to get some other low cost airlines on board besides Ryanair. Nice medium sized airport located right in the city. Looks more like a mix between an office park and a train station. Security was friendly despite the recent terrorist scare. Could not comment on facilities as we had an early morning flight. At landside there are a few bars and restaurants travel agencies.